Wester Solitaire poker is based on solitaire card games. As the cards are dealt one at a time from the desk, you need to place them on screen to try to create the best possible ..
Blackjack-s is a new take on a classic game. The goal is to get your card limit to 21 without going bust. The dealer will draw one card, you place your bet against that one card. ..
ManKatha is a very simple and popular card game, mainly played in south India.It's also known as "Ullae, Veliyae" it mean "in", "out". You can play Mankatha by betting your ..
A new remake of favorite game for a big number of users. 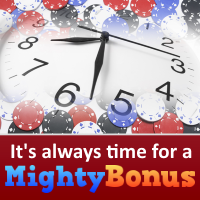 A nice appearance with good playability and user frie..
Unleash your poker skill to rumble in this unique poker game . Make Poker Combo as much as you can , and ach..